West Coast Toyota joined the Ken Garff family in June of 2016. Here at West Coast Toyota we want you to have the best car buying experience possible. That’s why we have a large selection of new and used vehicles, a service center where your car will get fixed without breaking the bank, and a staff that is dedicated to helping you personally. 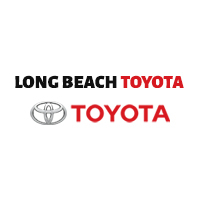 Our dealership is located conveniently in Signal Hill, just a short drive to Long Beach itself, as well as Carson, Torrance and Lakewood! We can’t wait to help you find the perfect car, so stop by West Coast Toyota today! Free shuttle services for our service customers. Fully stocked parts department with thousands of parts and accessories available at all times. Toyota Rental Cars – Drive one of the latest model Toyotas for business, pleasure or while yours is being serviced.